The disappearance of AirAsia Flight QZ 8501 threw a spotlight on the airline’s larger-than-life CEO Tony Fernandes, who purchased the carrier 13 years ago when it was floundering. The 50-year-old entrepreneur from Kuala Lumpur, who previously worked in finance for Virgin Records, is credited with turning AirAsia into one of the world’s most renowned budget airlines after he bought the carrier from the Malaysian government for just 39 U.S. cents, according to the BBC. Fernandes, who was born in Malaysia and educated in Britain, was a newcomer in the airline industry when he and other investors took over AirAsia in September 2001. At the time, the company had just two aircrafts and was deep in debt. It has since become one of the world’s leading low-cost carriers with over 160 planes and 15,000 employees. In 2012, AirAsia carried more than 37 million passengers, according to Invest in Asean. The company had been profitable every year since 2001 and in the most recent quarter, its revenue was up 3 percent. Purchasing AirAsia would prove to be the most successful venture yet for Fernandes, whose net worth skyrocketed to about $650 million in 2014, according to Forbes. "When the music business failed to embrace the Internet, I thought it was game, set and match for the industry and I quit," Fernandes told the BBC in 2010. Fernandes mortgaged his home to purchase AirAsia. "It really was a little bit of stick your finger in the air and hope for the best. But we were good marketing people from the music business … we just went out there and felt the market and said if you halve the fare, there's a huge enormous untapped market." Fernandes’ dream of owning an airline was born during his years in boarding school in England, when the high cost of travel kept him from frequently visiting home, according to the Washington Post. 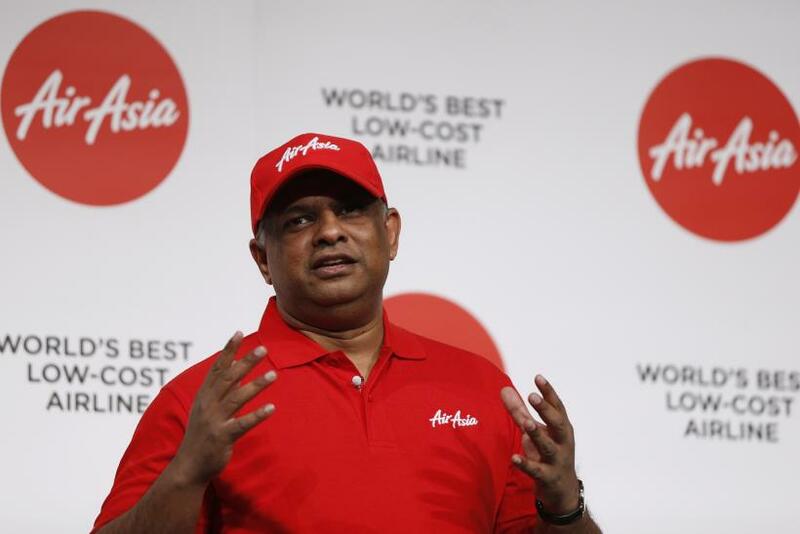 AirAsia was built on Fernandes’ model for low-cost, short flights. His AirAsia X, which began operating in 2007, was designed for longer flights. Fernandes became the host of the reality game show "Apprentice Asia" last year. AirAsia Flight QZ 8501 went missing early Sunday morning over the Java Sea. The Airbus A320-200 was in route from Surabaya in eastern Java to Singapore and lost communication an hour into its flight at about 6:24 p.m., Singapore time. An investigation is underway, however, no sign of the missing aircraft has been found.